Apologies to our Scottish readers – the intention was to post this before today’s game away to Kazakhstan as a tee-up towards a hopefully successful European Championship qualifying campaign. Sadly, a 3-0 loss in Astana meant Alex McLeish’s side got off to a losing start and the fear is that Euro 96 will remain the country’s last appearance in the continental finals. While most countries have a new kit each year nowadays, back then it wasn’t the case and it wasn’t even a given that a World Cup or European Championship would see a change. Adidas were coming around to that way of thinking, but both Scotland and England, clad in Umbro, retained the strips they had had in the run-up. In Scotland’s case, it was quite the departure. 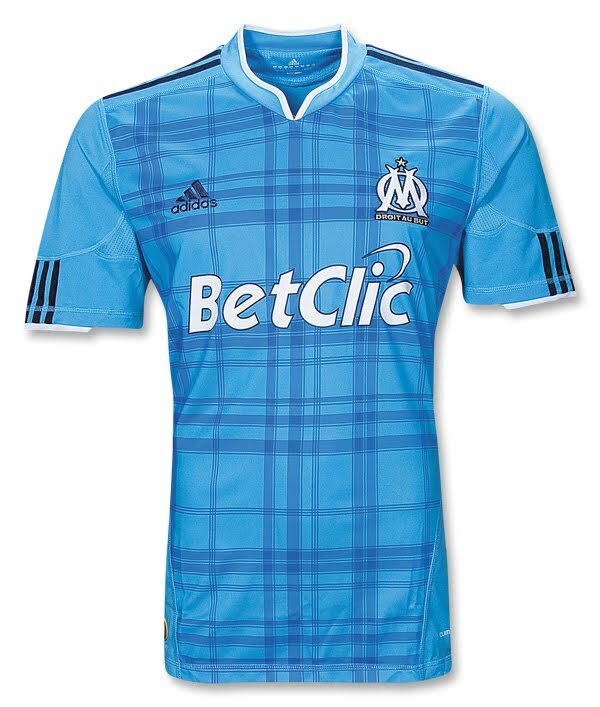 I stand to be corrected but me memory is of seeing an advert for the new Scotland home kit and dark-red England away in Shoot! just before Christmas 1993 and thinking that the Scottish one couldn’t be real. Scotland began their Euro 96 campaign with a 2-0 win away to Finland and only suffered one loss, away to Greece, as they finished second in the group to book their place in England. For the finals, shirt-front numbers and sleeve patches were added while the kit would undergo some other very subtle changes as Uefa sought to clamp down on excessive branding. Both the sleeves and the sides of the shorts featured diamond taping – in purple and navy, so not even that prominent – but that had to be dispensed with. In addition, the amount of diamonds on the sock-tops was also reduced. 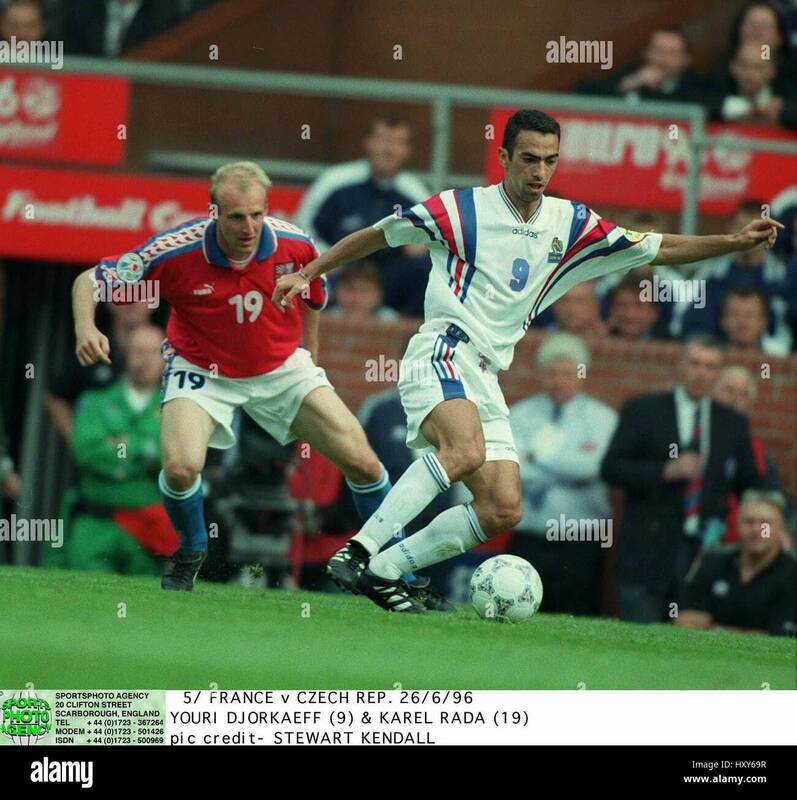 England had to make a similar change to their socks, but the adidas France away shirt, with its two large sets of three stripes, was deemed acceptable. Having begun with a 0-0 draw against the Netherlands, Scotland lost 2-0 to England, having missed a penalty when 1-0 down, and a 1-0 win over Switzerland was insufficient to advance as they lost out to the Dutch on goals scored, both sides having a goal-difference of minus-one. 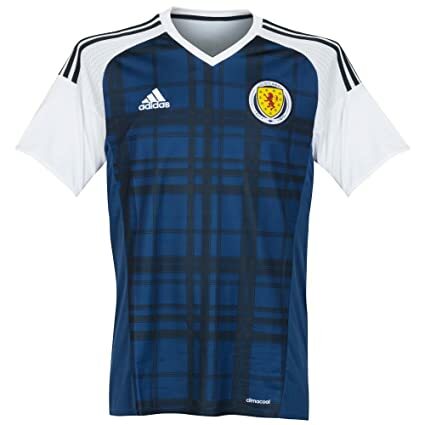 A new shirt was launched in the autumn of 1996 as white and red returned as accent colours and tartan hasn’t been a central feature of a Scotland shirt since. 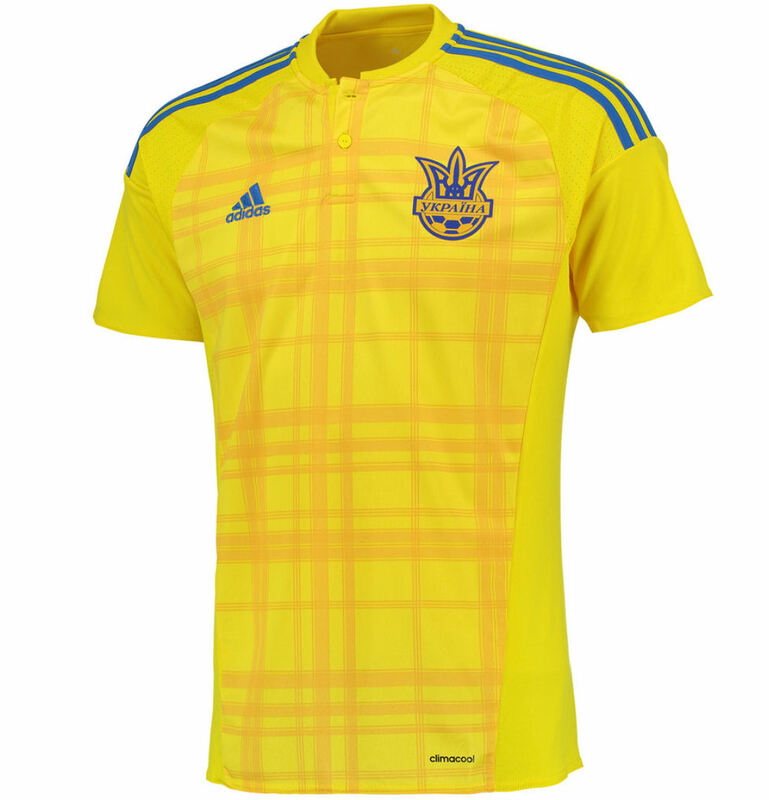 While the white-sleeved 2016 effort may have a been a nod to the pattern, but it was in fact an adidas design, also used by Ukraine.